Home » Frequently Asked Questions » What Happens if my Weekly Wage Payments are Late? What Happens if my Weekly Wage Payments are Late? TTD benefits are intended to help keep you afloat financially while you heal. Under the law, you will receive 2/3 of your average weekly wage with a maximum of $575 per week. What happens if your weekly TTD benefit checks are late? First, you need to find out why you are not receiving payments. If your employer is “controverting” or challenging your claim, you will not receive any benefit – medical or lost wage – until the question of whether you are eligible has been determined. Employers can controvert workers’ compensation claims on the grounds that you did not get injured at work, that your injury was pre-existing, or that you were engaged in “horseplay” when you got hurt. If your claim has been controverted, nothing further will happen with your case unless you take action quickly – in this situation you should contact an attorney immediately about requesting a hearing. It is also possible that you may not receive your weekly TTD checks on time or at all even when your employer/insurer has accepted the claim and acknowledged that you were injured on the job. Why would you not receive your TTD checks if the insurance company acknowledges that you were hurt on the job? Gamesmanship – some (but not all) insurance adjusters believe that just about every workers’ compensation claimant is a malingerer and a faker. Their goal is to settle claims as quickly and as cheaply as possible. They use their control of your weekly TTD checks as a tool to discourage you and to try to force you to settle early and for very little money. What are the Rules for Timely Payment of Accepted Claims? Your First TTD Check. 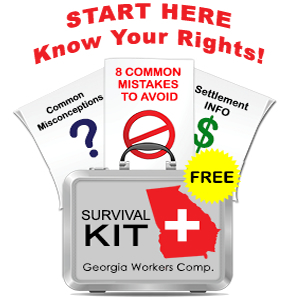 Your first weekly benefit check must be put into the mail no later than the 21st day after your accident if that check is mailed within the state of Georgia. If the check is mailed from outside of Georgia, the check must be put into the mail no later than the 18th days after your accident. The day of the accident does not count when calculating dates. Subsequent TTD checks. You are supposed to received your future TTD checks by the end of the week of your missed work. If mailed from within Georgia the check from the insurance company must be postmarked as of the last day of the week (i.e. Saturday) in order for payment to be considered timely. Subsequent checks mailed from outside of Georgia must be postmarked by the Thursday of the week it is due in order for the payment to be considered timely. Obviously if a check is mailed on a Saturday, you will not get it until the following Monday or Tuesday. If your check is not mailed on time, one of two late penalties apply. If you are receiving weekly benefits because an administrative law judge at the State Board of Workers’ Compensation ordered the insurance company to pay you benefits, then you are entitled to a 20% late penalty on all benefits that are not timely mailed. This means the insurance company must pay your full weekly benefit plus an additional 20%. If you are receiving weekly benefits because the insurance company voluntarily started paying you, without an order from the Board, then you are entitled to a late penalty of 15% on all benefits that are not timely paid. These penalties are automatic and an order from the Board is not necessary for them to be paid. The insurance company bears the burden of delivering TTD payments to you. 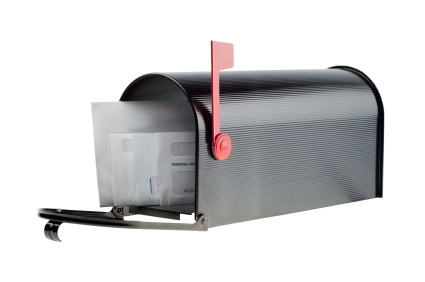 They are not absolved from penalty if the check is “lost in the mail.” At the same time, you have a responsibility to make sure that you have provided an accurate mailing address and that your mailbox is secure – to this end, a post office box will eliminate any questions about mail delivery. Late payment of weekly TTD (temporary total disability benefits) checks happens frequently and I am regularly on the phone with insurance adjustors trying to get my clients’ checks mailed. If your checks are not getting to you on time, I’d be happy to help you – please call my office at 770-351-0801.